The weather here in Ontario this summer has been perfect for outdoor fun. And what tops our list of family friendly activities? The drive-in and geocaching! A starlight movie night IS summer. I’ve been going to the drive-in since I was a child and I love taking my kids now that I’m all grown up-ish. Arrive early enough to ensure a spot not too close to the screen. This can mean up to two hours before the show (depending on the night and the weather) so come prepared with activities to keep the kids entertained. Many drive-ins have a playground for kids to enjoy while waiting for the sun to set. The drive-in near us happens to have the scariest slide and squeakiest swing set anywhere. Outside food/drinks are not permitted but, if a few bottles of water and some snacks should make it in undetected… so be it. I still head to the snack bar and buy popcorn at some point during the movie anyway. Bring blankets, a sweater, socks (in case it gets cold) and bug spray. Bathrooms get busy in between movies so go just as a movie is ending or after the next movie starts. Many people back in their vans so they can sit in the back and watch from there. 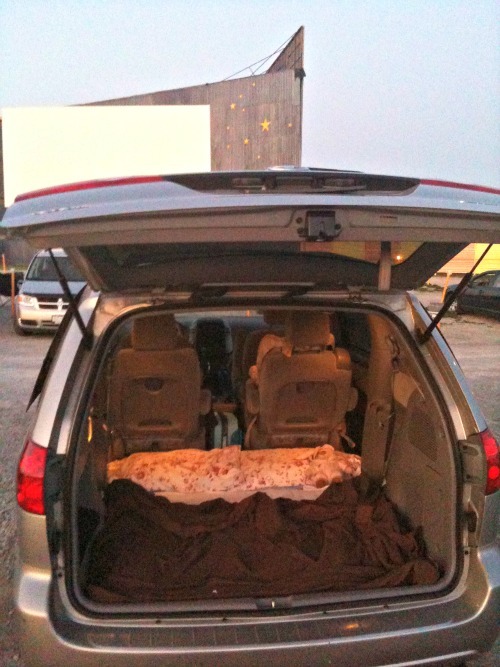 This works however we face forward and watch the first movie on lawn chairs lined up in front of our vehicle. For the second movie the kids climb into the comfy pillow and blanket “nest” we’ve made in the back of the van, while we enjoy the show from the front seat. The only downside is waking the kids up to put on their seatbelts but they’re usually so conked out they barely wake up. Never heard of it? That’s okay, neither had we until this year and now we can’t get enough of it. If you like hiking and being outside, you’ll love this global treasure hunt! 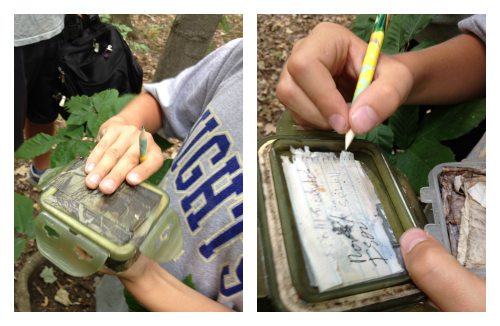 When you find a cache (treasure box) you sign the log to show you were there. Geocaching is a great way to get some exercise, enjoy the outdoors and spend time with your family while teaching your kids about navigation, deciphering clues and following directions (oh, the irony considering my nickname was “Wrong Way” back in my traveling days). It’s free to sign up for your geocaching account at www.geocaching.com I spent $9.99 and bought the iphone app (but you don’t have to). There’s a free “light version” of the app if you’d like to give it a try before buying. 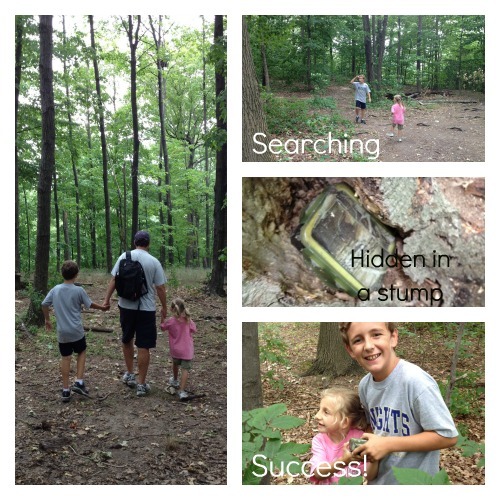 If you decide to give geocaching a try (and we recommend you do!) stock a backpack with a pen (to sign the log book when you find the cache) and some trinkets from the Dollar Stores e.g. small rubber balls, pens, stickers, little toys (to leave in exchange at some of your cache finds). 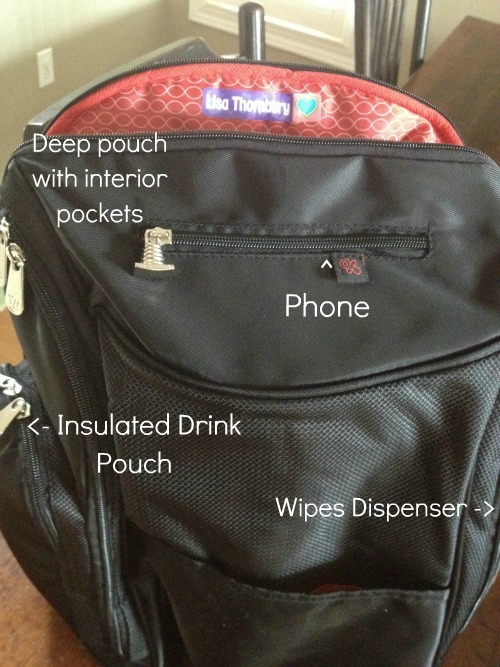 Don’t forget the bug spray, bottled water and snacks. Treasure hunting can be hard work! FYI August 18th is International Geocaching Day! My family will be out in the wild looking for treasure (and hopefully avoiding poison ivy and hogweed). Care to join us? How Could I Forget This Family Photo?